I initially called certain coins "shark jumpers", implying that these are silly, desperate productions that are trying to raise waning interest in mint products. This Baseball Hall of Fame issue is a mild example. Here is something much more extreme. 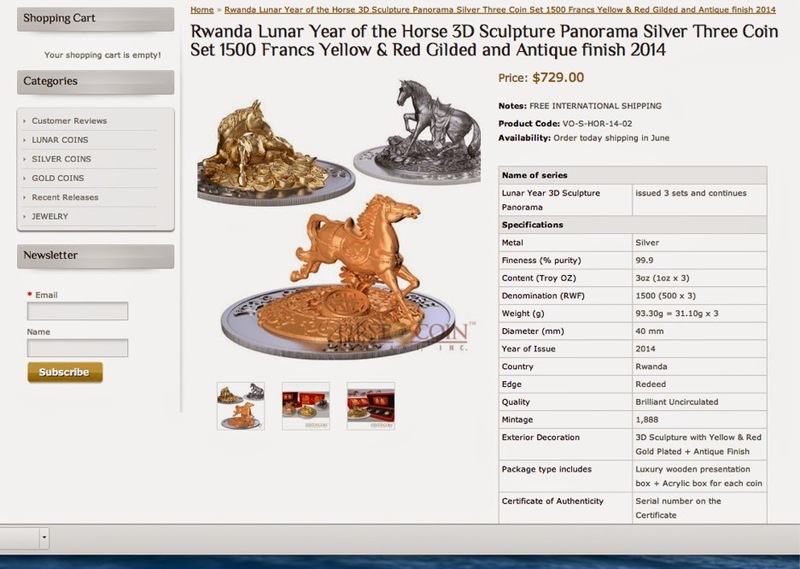 It's sculpture with a coin as its base - definitely not something you'd carry in your pocket! I don't know what's going to happen with these types of coins. Will collectors in general accept map shaped coins, folding coins, coins with embedded electronics? I don't know. My instinct is that most of these, maybe even all, are ridiculous and that they truly are "shark jumpers" destined for ignominy. Some day this whole period of strange designs might be looked at much as we look at the Dutch Tulip craze now - a brief aberration of sanity. On the other hand, I could be wrong. Even if most coin collectors ignore them, enough may find them interesting that they won't be disdained and consigned to the dust heap of numismatic history. 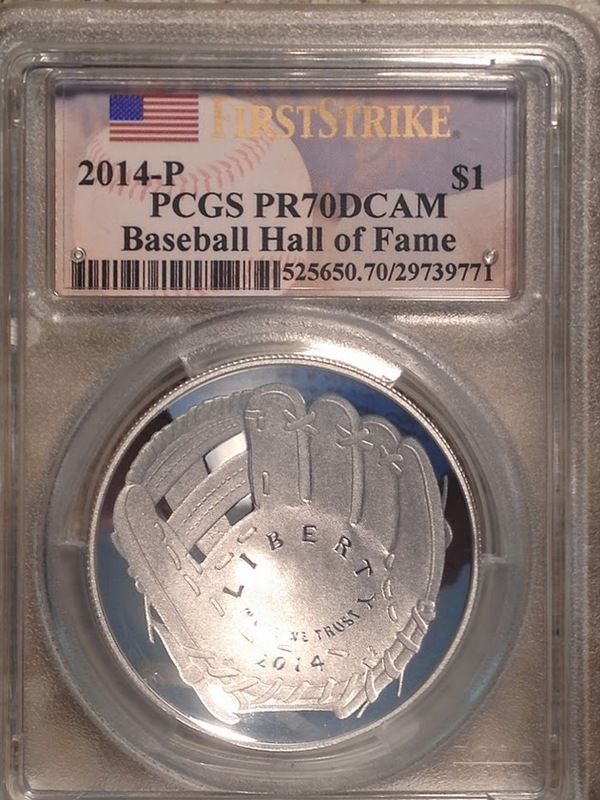 Collectors may very well include some in their type sets - I could see that happening with the Baseball Hall of Fame coins very easily. Other collectors may even specialize in these. In fact, that's quite likely and that's why I coined the word "Neonumia" (New Money). This is in the tradition of exonumia (outside of money), but as these are generally NCLT (non circulating legal tender), they obviously aren't that. Neonumia works for me, at least until someone comes up with a better term. No matter what, I don't think this phase has legs. I really don't expect it last very long. I expect that the market for new issues will dry up. Some of the originals may retain value, but I really think that soon enough a mint is going to announce yet another absurd "coin" and get not enough orders to pay the cost or even get no orders at all. I can absolutely state that if the U.S. Mint came out with a football shaped coin next month, I would not order any and I suspect I'm not unusual. So, do you have any neonumia in your collection? Would you collect neonumia specifically? Would you buy that football coin? No, I wouldn't buy a football coin and I consider both you and I unusual ;) I will own the BHoF $1 coin whenever it ships :P I also would like to own the Niue $2 Scottsdale bar. I may pick one of them up this week if my search of gold coins comes up short. I own the BHoF coin as well as some other Neonumia coins. The map shaped coins are one of my favorites. The variety I own have six versions and all have sold out. Some of these new "coins" though have gone beyond even those and are tacky in my opinion.